Yahoo! Avatars and Yahoo! 360: What Happened? What in the World Happened to Yahoo! Avatars and Yahoo! 360? Back in the day, Yahoo! 360 was one of the many social blogging platforms available. Anybody could set up a free Yahoo! 360 blog, customize their profile with a little Yahoo avatar to make it their own and start publishing blog posts. Like many things that exist on the web, however, not all are meant to last. Yahoo! 360 was shut down on July 13, 2009, while Yahoo! avatars were discontinued on April 1, 2013. Launched in March 2005, Yahoo! 360 was a blog-focused social networking website designed to give users a place where they could connect with people that mattered to them the most. Similar to many of the popular social networks we see today, like Facebook and Twitter, users could set up a profile, add friends, upload albums of photos, and meet new friends with similar interests — all in addition to publishing posts on their blogs. Yahoo! 360 was originally launched to compete against MSN Spaces (later renamed Windows Live Spaces, which was then shut down in 2011). While Yahoo! 360 did well in some parts of the world, like Vietnam, it never really caught on much in the U.S. and Yahoo! actually abandoned support for it in 2007 nearly two years before it was officially shut down. The reason Yahoo! 360 no longer exists is simple: Not enough people were using it. According to a TechCrunch article, comScore showed that Yahoo! 360 saw a 51-percent drop in monthly U.S. visitors from September 2006 to September 2007. At the time, Facebook was getting around 30.6 million monthly visitors while Yahoo! 360 was only getting about 2.8 million — possibly explaining why Yahoo! abandoned it shortly after that and eventually put it away for good. Yahoo! was one of the only major web services that gave its users a really fun little feature that allowed them to build their own avatar, which could be used as their profile photo on Yahoo! or practically anywhere else. With the avatar tool, users could essentially create a cartoon-like version of themselves, complete with customizable options for hair color, hairstyle, facial features, eye color, outfit, and more. Yahoo! avatars were perfect for Yahoo! 360 profiles and other related web properties (like Yahoo! Answers) by putting a fun little-animated face to a profile. Users could also export their avatars to other social networks like Facebook and Twitter. Yahoo! 360 was one of the only places where you could blog and be social while enjoying the creativity that everyone put into their avatars. The avatars just made it feel a little more unique and a bit quirky too. The Yahoo! avatar wasn't a unique feature to Yahoo! 360 and existed for years after Yahoo! 360 was shut down, but the company decided it was one of the features that weren't going to make the cut as it shifted its focus toward updating and developing other existing Yahoo! products. Along with the discontinuation of avatars back in 2013, Yahoo! also decided to shut down several other properties including the Yahoo! BlackBerry app, Yahoo! App Search, Yahoo! Clue, Yahoo! Message Boards, and Yahoo! Updates API. Tumblr: Acquired by Yahoo! in 2013, Tumblr is perhaps one of the hippest blogging platforms out there — especially if you're the type who loves to publish lots of photos, videos, and GIFs. The mobile app also makes it easier than ever to publish new posts and interact with other users too. It has a very young and casual user base (a.k.a. teens who love the visual stuff), so keep this in mind if you're looking to build a specific type of community. WordPress.com: WordPress is the web's most popular blogging platform and although it doesn't quite have as big of a social networking twist to it as Tumblr, it's a fantastic option if you want to set up a free blog fast, give it a cool looking layout (without coding it yourself) and start publishing. A free WordPress blog is ideal if you want to focus more on written content and treat it more like a traditional blog than a social networking profile. Medium: Medium is another hip social blogging platform that strikes a beautiful balance between high-quality web content and community. You can follow other users (and be followed), like other users' posts, see posts from users you follow in your feed and get the chance to be featured if your posts are popular enough. It has much more of a "grown-up" community vibe in comparison to Tumblr because of the incredible quality of content that gets published there. Bitmoji: From the creators of Bitstrips, Bitmojis are expressive avatars or emoji you can create and use to convey your emotions online. It's available as a mobile app for iOS and Android devices, but you can also use it on the desktop web via the Chrome extension. 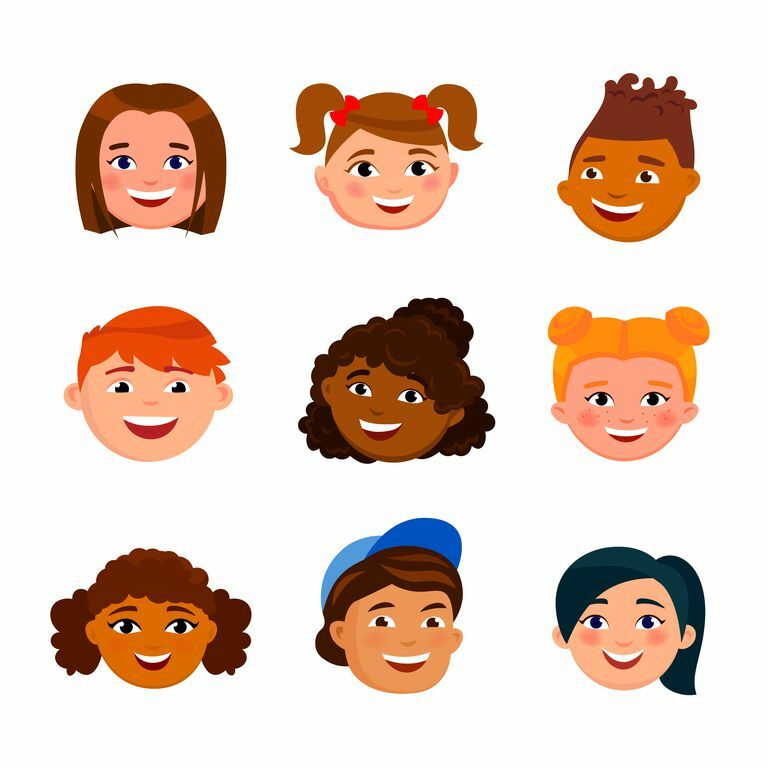 You can share your avatars anywhere as "stickers" and look for other popular platforms that can be integrated with it for easier sharing, such as Snapchat and iMessage. Avatar Maker: Avatar Maker is a super simple tool you can use on the web to start making your own avatar right away, without having to sign up for an account first. You can customize your avatar's face, hair, eyes, clothes, and background by choosing from a wider variety of options. When you're done, simply hit the download button and upload or share it wherever you want! Myidol: If you're looking for something a little more on the quirky side, you'll want to check out Myidol, which is a mobile app that lets you create 3D full body avatars — complete with actions you can make it do (like dance, sing, etc.). You can download and share videos of your avatar in motion or just stick with the images. The app is available for iOS and Android devices. There's never any guarantee that a particular web service is going to stick around forever, and when it does happen, we just have to accept it and move on to something else. For Yahoo! 360 and Yahoo! avatars, this was definitely the case.